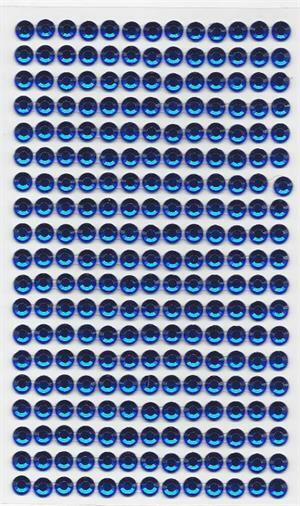 Trim all your craft projects with these royal blue crystals. There are 19 rows of 13 crystals each. 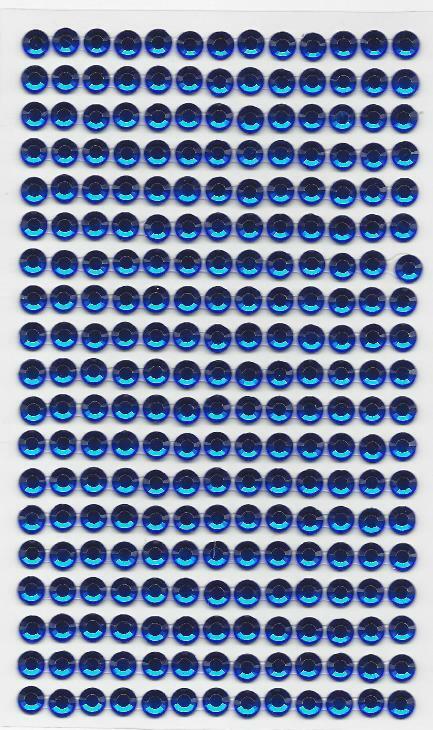 Total 247 crystals per sheet. Each crystal has a 3/16" diameter or 6 mm. Price $1.50 per sheet. Just peel and stick.